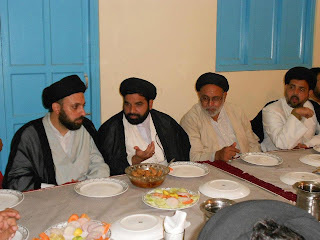 He is Leading Shia Scholar and Community activist of India.He is Lecturer at Jamia Syedul Madaris in Amroha.He is Director of Imamia Recarch CenterHaqqani Street Amroha. He is also Shia Shahar Imam of Moradabad. 4-You can see Photos of Old and New Ulamas here. 7 :-Tazkara –e-Shohada-e-karbala:-This book is about shohada-e-karbala,their life and their sacrifices.This book has published in 2012 by Anjumane Mission-e-Paighame Husaini.Moradabad. 10 :-Hindustan ki pehli jung-e-azadi (1857)me Amroha Ka Hissa:-this book has information about first freedom fighters of amroha in Hindustani junge azadi like Gulzar Ali Sahaband Shabbir Ali Khan.this book contain letters of Gulzar Ali Sahab that’s are written by him from kalapani.this book is published in 2012 by Meer Anees Academy . 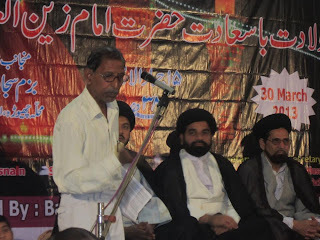 11 :- Muqadma-e-Tarjuma-e-Quran-Dr Zirak Husain Amrohvi :-This is translation of Holy Quran and importance of Aayat ,cure & solution of problems by reciting the aayat.this is published 2010 by Meer Anees Academy. 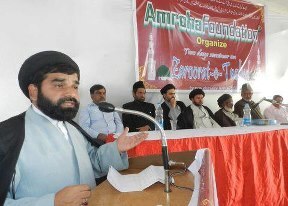 12 :- Muqadma-e-Tareekhe Asghari :- this is about the first written history of Amroha.It is published in 2007 by Meer Anees Academy.Mohalla Haqqani Amroha. 14 :- Shareheene Sahifaye Sajjadiya & Deegar Adya :- This book is under printing and people are asking for their Explanations.